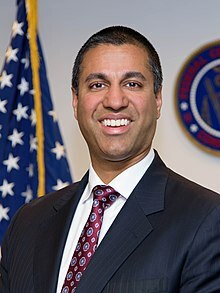 ^ "President Trump Designates Ajit Pai as Chairman of FCC". January 22, 2017. ^ Bucher, Chris (November 22, 2017). "Janine Van Lancker, Ajit Pai's Wife: 5 Fast Facts You Need to Know". Heavy.com. Retrieved December 18, 2017.